This is a reminder to all SoCal Drivers to stay safe in the rain! Statistics show that rain is one of the biggest contributing factors to car accidents. 1. Keep an Emergency Kit in Your Glove Compartment. Drivers should carry a cell phone, as well as pen and paper for taking notes, a disposable camera to take photos of the vehicles at the scene, and a card with information about medical allergies or conditions that may require special attention if there are serious injuries. Also, keep a list of contact numbers for law enforcement agencies handy. Drivers can keep this free fill-in-the-blanks accident information form handy. The DocuDent™ Auto Accident Kit ($19.95), supported by AAA and insurance companies, offers a comprehensive kit that includes a flashlight, reusable camera and accident documentation instructions. A set of cones, warning triangles or emergency flares should be kept in the trunk. 3. Exchange Information. Visit www.exchangeinfo.info to download our app from the Apple App Store or Google Play Store from any web enabled cell phone. Or visit www.gatherinfo.info from any web browser. Auto accidents take a tremendous toll on everyone involved, both financially and emotionally. If you’re one of the lucky ones who have thus far avoided a serious accident, hopefully the tips on prevention will help keep it that way. The chances are high, though, that at some point you will be involved in an accident. Just keep your head focused and make safety your primary concern. You’ll have plenty of time to deal with the consequences later. If you or someone you know has been involved in any type of car accident, contact the Friedman Law Offices today! 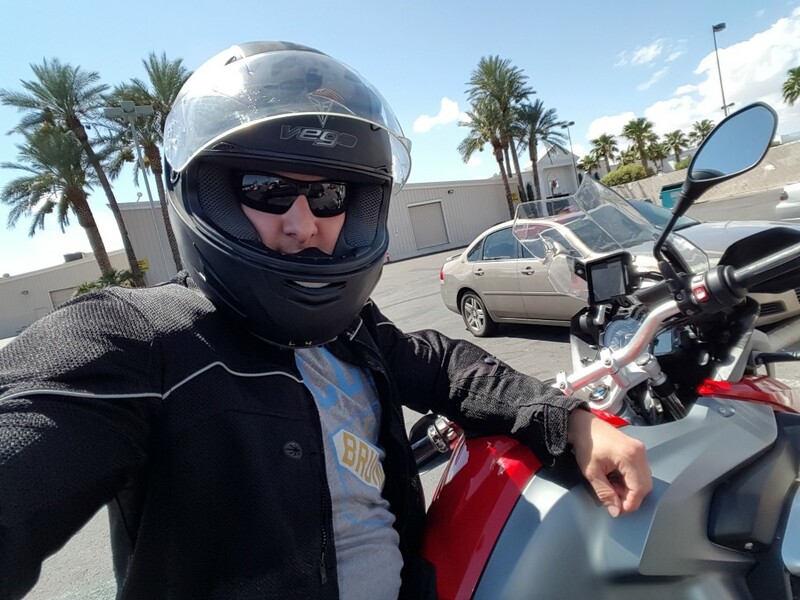 When choosing a motorcycle accident lawyer, it is imperative that your lawyer can fully understand what you are going through. 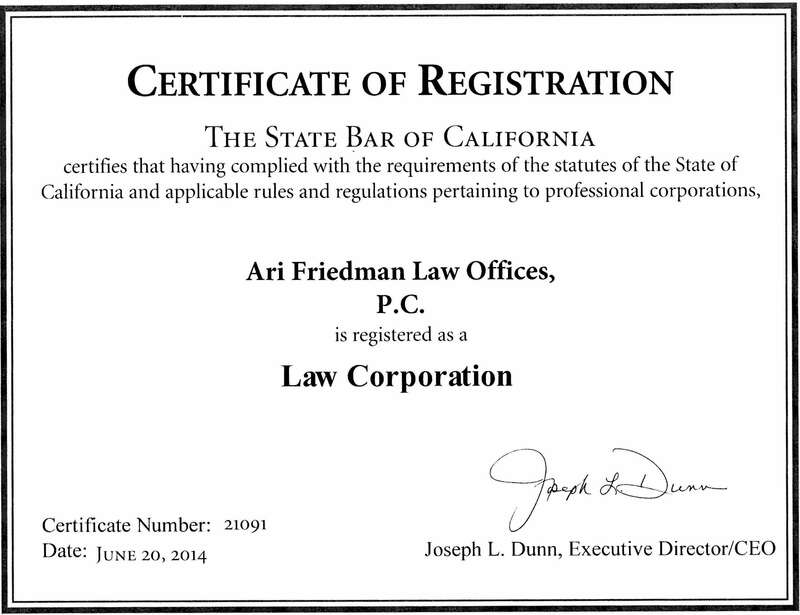 Attorney Ari Friedman has been riding motorcycles for over ten years and won’t be pushed around by insurance companies! If you or someone you know has been involved in any type of motorcycle accident, contact the Friedman Law Offices today! The entire purpose of this mom’s campaign is to AVOID any accident to begin with. 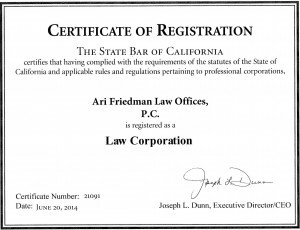 If the unfortunate circumstance arises wherein you or your friend or family becomes a victim, be sure to have Personal Injury Attorney Ari Friedman’s telephone number on standby. He’s successfully and diligently handled many car accidents involving misuse of cell phones. For more information about this campaign or to get involved visit driveeasy.com. The driver in this video was about to be a victim of a car crash. The other person made an unsafe left turn, in violation of California Vehicle Code Section 21801(a), without yielding to oncoming traffic. Good job! Please make sure you call our office if you are ever a victim of someone negligent driving. We have handled many cases that involve situations similar to the above where one driver made a left turn into the path of another driver that had the right of way. Los Angeles is the nation’s capital of hit-and-run collisions. In an effort to reduce the staggering number of hit-and-runs in Los Angeles, city officials joined forces Tuesday with the Los Angeles Police Department and the Department of Transportation to announce a city-wide alert system. “The city of Los Angeles unfortunately has become known as the hit and run capital of the US,” said Damian Kevitt, who lost a leg when he was struck by a hit-and-run driver two years ago. Councilmen Joe Busciano and Mitchell Englander hope to reduce the epidemic of hit-and-runs in LA with the implementation of a mass notification system that would use social media accounts, including Facebook, Twitter and Instagram, and Nixle to alert residents. Englander said they have reached out not only to Google and Waze, but also to any company with a dispatch system, including Uber, sanitation services, bus drivers, and metro and taxi drivers. Nearly 21,000 hit-and-runs resulted in 27 deaths and 144 severe injuries in LA during 2014, according to LAPD records. With nearly 50 percent of crashes classified as hit-and-runs in the city, LA soars over the national average of 11 percent. There’s also an effort to create an alert system statewide, called a Yellow Alert. It would work like the current Amber Alert system, using electronic billboards and text messages to alert the public to hit-and-run drivers. It’s modeled after a program in Colorado called the Medina alert, which has been successful — 76 percent of the hit-and-runs that were displayed on the billboards were solved. “Anything to catch these criminals that are leaving people on the side of the road, that is what we are going to do,” said Stephanie Saporito, a spokeswoman for Englander. Additionally, Busciano and Englander will also ask the City Attorney to draft an ordinance that would offer a standing reward for the apprehension and conviction of hit-and-run drivers. There is no place for discrimination in this country! A deliveryman for the Midtown restaurant Mangia 57 has won a $900,000 jury verdict, payback for the anti-Semitic harassment heaped upon him by three supervisors at the eatery. “It’s a very happy ending — I’m in another world,” said Adam Wiercinski, of Washington Heights. “They would call him a ‘dirty Jew,’ and when he would say, ‘But I took a bath,’ they would laugh and say, ‘No, you still smell like Jew,’ ” said his lawyer, Matthew Blit. Night-shift manager Artur Zbozien often “passed gas” in front of Wiercinski, and would then joke that the gas was Zyklon B, the poison used in Nazi gas chambers during the Holocaust, according to the Brooklyn federal court lawsuit. “How can I explain to you — he passed wind, loudly,” Wiercinski told The Post of Zbozien. “My father had six siblings — only two of them survived in what is now the Ukraine,” Blit said. Jurors heard just three days of testimony last week, including supporting accounts from three of Wiercinski’s outraged co-workers. Much of the testimony was in Polish, the language used by many of the restaurant’s employees. The jury reached a verdict Thursday in just four hours, Blit said. Employees at the restaurant and caterer, which has three Manhattan locations, have denied the harassment took place. The restaurant is expected ask that the verdict be tossed out or that the award be reduced. Calls to its attorney were not immediately returned. The verdict will be appealed, a lawyer for Mangia 57 said Tuesday, insisting that there was no evidence — besides Wiercinski’s own word — that upper management was ever made aware of any problems. Jurors bought Wiercinski’s story despite evidence presented by the defense that between 2000 and 2008, Wiercinski was receiving Social Security disability checks while collecting his full delivery job paycheck under a fictitious name, Adam Jamroz. Wiercinski admitted as much during a pre-trial proceeding, but took the fifth at trial, both sides conceded Tuesday. Mangia knew who Adam Jamroz was for the past 20 years — if they agreed to let him call himself Adam Jamroz and be paid under that name, the jury saw that they were just as guilty as he was,” countered Blit. Brooklyn federal Judge Leo Glasser has ordered that the transcript in which Wiercinski described the alleged Social Security fraud be turned over to the US Attorney’s Office, Kaiser said.